Nia Davies is a poet and editor. She was born in Sheffield and studied English at the University of Sussex. Then Spree (Salt, 2012) is her first pamphlet of poems. In Spring 2014 she took over the editorship of the international quarterly Poetry Wales. 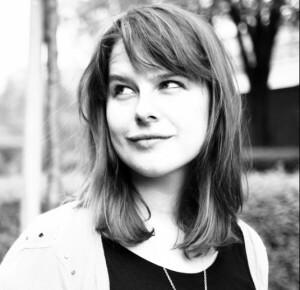 She also co-edits Poems in Which (winner of best magazine in the 2014 Saboteur awards) and works with the international literary projects Literature Across Frontiers and Wales Literature Exchange. Her poetry has been widely published and translated.